This note is specifically for people on a ketogenic low carb diet and is referring to “nutritional ketosis” or the process of burning ketones for fuel/energy instead of glucose for both weight loss and health benefits. For a complete exogenous ketones review you should check out ketogenic supplement reviews. It is a great resource for more information on ketones and everything surrounding ketosis. – What IS a ketone? – What should my blood ketone levels be on a keto diet? – When should I test my ketone levels? – Why should you test your blood glucose levels? If you’ve known me for ANY amount of time, you already know I’m BIG on keeping it simple and not over-complicating the keto diet – but rather relaxing into a healthy, active low carb lifestyle and enjoying the results & benefits. Today we’re going to talk about science though, and lack of science, what’s REALLY going on with your body, how to know – then what to do about it. Because over the last year I’ve had some weird issues & symptoms in my own keto journey, specifically after a 4-month round of antibiotics & steroids that seemed to throw my body out of whack about a year and a half ago. I realized two things while I was at KetoCon in June. First, that I had just “accepted that” and allowed it to become my new norm. Which is exactly what I did. I actually stopped & dropped for a quick workout on the spot, to kick-start my exercise motivation again, even. There’s a HUGE depth of information and science and personal experiences starting to bubble out of the keto community. Enough so to make your head spin after three full days at a Keto Conference – lol. I’m going to attempt to “keep this simple” in my usual fashion, and share with you what I learned by “going down the rabbit hole” myself to learn more about the role Ketones play in our body on a ketogenic diet – so you don’t have to spend hours wading through all that conflicting information yourself. Knowing I was having some strange issues, I started a clean testing experiment series earlier this year. 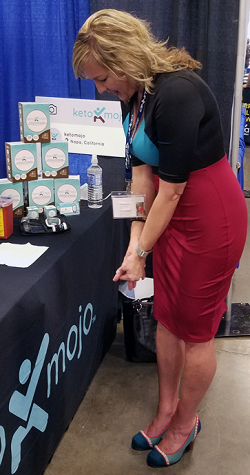 And so of course the Keto Mojo booth was one of my first stops at the Keto Con event. I signed up for their affiliate program so I could get you a discount. This link has your 15% off discount coded into it: Get 15% off the Keto Mojo Testing Meter. Their commission structure is weird/low but scoring us a discount was the big WIN! I was in ketosis, but on the low end with a 0.6 reading. Meaning: not artificial ketones ingested through magic pills & potions. What should your blood ketone levels be on a keto diet? What I’m learning about Ketone levels is that … there are no definite answers. There’s no perfect number or one-size-fits-all answer to the BIG question: what should MY ketone levels be? You do want to have at least 0.5 mmol/L reading which means you are IN ketosis. Anything above that number (0.5) is where things seem to get interesting! All the different factors, all the different tests, all the different potential interpretations of the results, etc (example) can be overwhelming and complicated. I encourage you NOT to go down that rabbit hole. The bottom line after reading endless websites and case studies, is that 0.5 or higher is ideal for weight loss and improved athletic performance. Meaning, you at least want to be IN ketosis (at 0.5 mmol/L) and everything else is a variable. Most “experts” seem to agree that the 1-3 range is ideal, but that there is NOT enough science-based evidence to back any specific claims. There are too many variables and no real clinical testing. There are also cases mentioned like Sami Inkenen (a triathlon world champion) with a reading at .6 and optimal energy and health. That reading was while he was rowing between US and Hawaii – and I have no idea if the reading was before, after or during his athletic performance. “Your absolute ketone levels tell you nothing about how well you are a) making ketones b) using ketones, or c) retaining ketones (i.e. preventing wasting via the urine). The number you measure is just a balance of all three. So you could be running purely on ketones but using everything you make, and end up with “low” levels – Sami Inkenen is a good example. It’s less about what’s right and wrong, and more about what’s right for YOU personally. There are so many variables at play, such as: how long you’ve been in ketosis, how efficiently your body produces/uses ketones, whether you are active or sedentary, etc. This is where testing comes in. To determine your baseline numbers, comparing your results/readings to how you FEEL and perform, and finding your sweet spot with it all. When should you test your ketone levels? 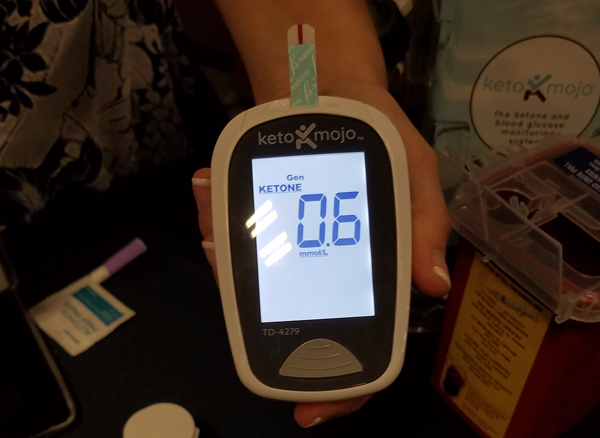 My lower blood ketone test results that I showed you in my last post, plus the one taken at KetoCon above, were both “morning results” – which I discovered is normal. Your first blood ketone test taken an hour or two after waking up, or before eating, will be your lowest reading: the time of day when your ketone levels are lowest. I was happy with those results. To make all of this even MORE interesting, I have also been using urine test strips to monitor the ketone levels in my urine. My urine ketone test shows higher levels of ketones, usually a darker reading in the moderate-to-large range. 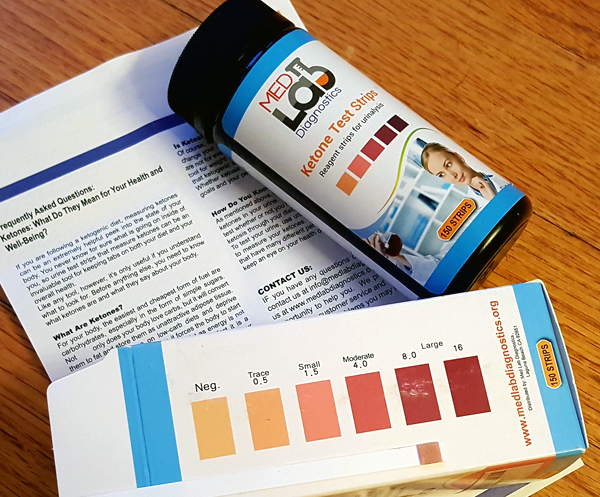 I use Med Lab Diagnostics Ketone Strips and you can read why here. A blood test tells you the ketone levels IN your body (in your bloodstream) right now. Urine ketone tests, the strips you pee on, only test the levels of excess acetoacetate your body is excreting. Meaning not what your body is running on, but what your body is getting rid of (waste). Also, the keto urine strips only measure acetoacetate levels, which is an unused ketone by the body. There are three different types of ketones in your body, and the only way to know your true ketone level is through a blood test. There are a lot of other variables with urine strips as well such as electrolyte and hydration levels, medications and vitamins, and how efficiently your body is at USING the ketones it produces (meaning: less waste, resulting in lower urine test readings). I find it most interesting that my blood ketone levels are on the lower end, while my urine ketone levels are on the higher end. This doesn’t bother me or perplex me – my results are fine/good as far as saying I am indeed in ketosis. What interests me most is improving those numbers, or experimenting with improving/changing them, and seeing how I FEEL as a result – or what the results are from those changes exactly. It does require consistent testing to figure out your baseline numbers, because the truth is: that’s going to be different for everyone and for every BODY. From there you can figure out IF you need to improve those numbers, with a specific goal: better/faster weight loss, higher energy levels, better athletic performance/endurance, less chronic pain/inflammation, etc. Things that affect your ketone levels, and things ketone levels affect. What can make your ketone levels lower or higher? This has been interesting to me! Certain foods of course, medications, exercise, fasting (intentional or not), and even GUT HEALTH. We’ve been talking about how stress can affect your gut health, which can affect your mood & energy, all of which can also affect your ketone levels I’ve learned. All things are leading back to the gut everywhere I look lately! Stress can affect your gut health, your gut health can cause stress/depression, gut health affects ketone levels – which can affect EVERYTHING. The first question that popped into MY mind was: “should you try to increase/improve this number? ?” I wasn’t sure. I’m still not 100% sure. But I do want my body running at optimal health, and I now have the tools to experiment and test various things for better RESULTS: improved mood, more energy, weight loss, etc. In all my reading I learned that there are four methods for increasing your ketone levels for optimal weight loss & energy. These are the four things that affect your ketone levels. First, I had NO idea that exercise (or lack of it) would have any impact on the ketone levels in your body, so that was fascinating to study! I enjoyed this article: Optimize your exercise to burn fat and utilize ketones for example. I’m still doing more research on the best exercises on a keto diet, and for optimal ketone production, so stay tuned as I wade through all the articles out there! The first point above was obvious, BUT I did learn an interesting fact in my research. Something I probably should have known already. As for Exogenous Ketones, those are highly debatable – and most of what you see on the market right now is SUPER SKETCHY. As said above, the best ketones are those your body produces itself. 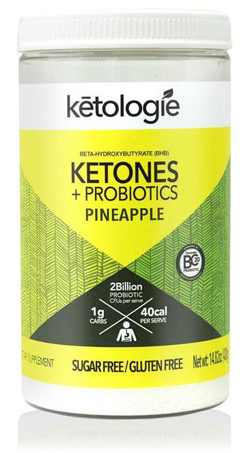 That said, Ketologie came out with a brand new Ketones + Probiotics Pineapple Drink that is both for gut health (!) and to increase your ketone levels – plus focus, energy & electrolyte levels. I have some of this, so I’m going to try it along with the rest of my experiments! That ^ is the ONLY exogenous ketone type product I would TRUST – period. Why should you test your blood glucose levels? I was told that a glucose reading of about 83 is ideal. 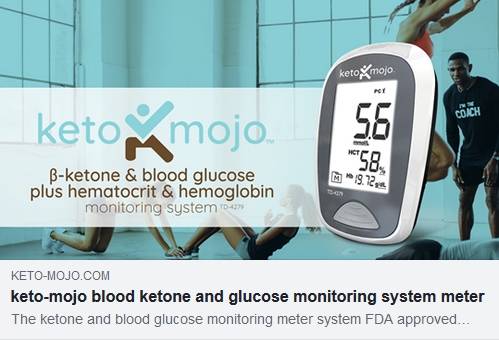 But the real key to the Blood Glucose Testing part of the KetoMojo test meter is that it allows you to find out which foods spike your glucose – which in turn lowers your ketone levels. “Testing your glucose is a good indicator of a food trigger, as blood sugar changes far more rapidly than ketones. Ketones are slow to move and sometimes its what happened the day before that matters most. Also, some people see a spike in glucose when using artificial sweeteners, while others don’t. Knowing if an artificial sweetener, or almond flour, or some other “substitute” ingredient is causing glucose spikes is important. These spikes can sabotage your keto scores. 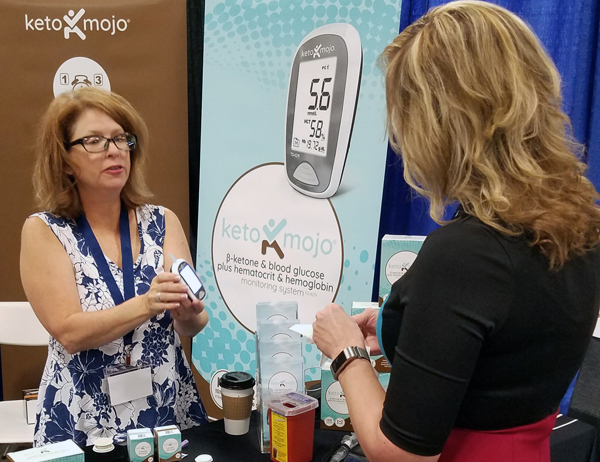 Having the blood glucose testing option with your KetoMojo Ketone Meter is ideal so you can identify your own food culprits, and how things affect YOU personally. Are There Any TRUE Answers?! I personally found it frustrating that there weren’t any cold hard facts or “true numbers” to base things on, but the fact is there simply isn’t any real scientific or clinical data available yet. So the best thing we have is the tools to learn more about our own bodies, and tools that allow us to improve the performance and results. The only REAL thing you need to know is if you are IN ketosis, which a blood ketone reading of 0.5 or higher – or any positive reading on a urine strip, which is way less accurate but a start at least. From there, if you aren’t experiencing any health issues or long-term weight loss stalls/gains, my advice is: don’t worry about it! Keep it simple. If you ARE experiencing problems or weird issues/symptoms, like I have been over the last year, then it’s time to dig in and figure out what’s going on – and how you can fix that problem. What Should I Test First? I’m excited to dig in and do some serious testing now that I’ve figured out my base levels. Keep in mind that I have been eating low carb (or “eating keto”) for a VERY long time – more than 7 years now. I wasn’t always as consistent as I am now, but for the last few years I’ve been consistently in ketosis – outside of the 2 or maybe 3 times a year I knock myself out of ketosis intentionally for testing purposes, and still with a low carb / paleo meal (a whole-food carb-up). Anyway, armed with all this cool & interesting new information, I’m anxious to start testing a few things! * And of course: Keto Products. I would love to hear what YOU most want to see me test first, or what you’ve tested on yourself and what YOUR results were. I think it would be easiest to start with the coconut oil and simply adding a TBSP a day for three straight days and monitoring the results. From there I would love to test higher levels of MCT, and whether that impacts the results. Testing the keto products I love will be FUN of course (smile!) and I think I’m highly interested in the results of a Zero Carb / Carnivore experiment. 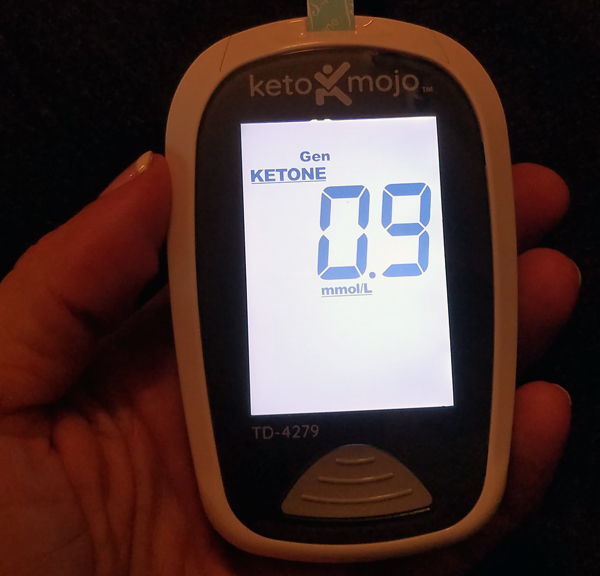 * If you want to learn more about Blood Ketone Testing and Glucose Testing, or the KetoMojo Testing Meter I’m using myself, check out the Keto Mojo Videos & Guides on their website. I’m curious if you test for ketosis, test ketone levels, what you use – and what your thoughts / questions / experiences are on the topic? p.s. I got us a 15% discount on the Blood Glucose & Ketone Meter I’m using myself. The discount is coded into that link, so you’ll get 15% off automatically. It’s already the most affordable and most accurate ketone/glucose testing kit available for the keto community, so another 15% off is a sweet deal! Netrition – The Internet’s Premier Nutrition Superstore!